Vladimir Vladimirovich Mayakovsky (July 19, 1893 - April 14, 1930) was a Russian and Soviet poet, playwright, artist and stage and film actor. He was one of the Russian futurism representatives of the early twentieth century. He first gained fame in 1915 for poetry 'Patloon Pora Megh (clouds in trousers)' and 'Merudander Bansuri'. 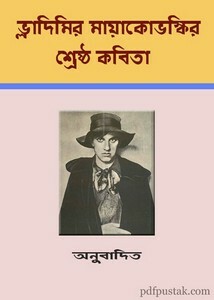 Collect this anubad kabitar boi- 'Mayakobhaskir Shreshtha Kabita' as pdf file which is translated into Bengali by Siddheshwar Sen, Shakti Chattopadhyay, Mukul Ghuha. 128 pages and 3mb pdf size.